In this day and age where the average John Doe who has no remote claim to fame or any other accomplishment of note for that matter saunters around with an exaggerated opinion of himself, humility is a virtue that is becoming increasingly rare. In fact, the impression one gets from the society nowadays is one which preaches climbing atop a mountain to blow one’s trumpet. This is not to say that it is completely wrong to speak of one’s achievements or be proud of them. Nevertheless, except you are being interviewed for a job or are trying to get someone to buy into your idea, product or service, then tooting your own horn should be the exception to the rule and not the norm. Since the beginning of 2016, the entertainment industry has witnessed a lot of drama. There have been fights and theatrics among artistes. A situation which has degenerated into some name calling, a good dose of boasting and grandstanding for good measure. The Don Jazzy versus Olamide episode readily comes to mind. And just as that was settled, in a move akin to receiving the baton in a relay race, the Whizkid/Dammy Krane club fight took over. These fights and “beef” among artistes who unfortunately have many fans and followers who look up to them boils down to one thing – the battle for supremacy. The I-am-better-than-you mentality is responsible for the cold war which eventually snowballs into something more sinister. Time and time gain, we see people who were not only anonymous but also in the throes of penury only a few years ago become a law unto themselves because of some fleeting fame/fortune providence has bestowed on them. And while this is common among music artistes, actors and celebrities in general, it is by no means limited to this category of people. Regular folks who were only a shirt and trouser away from being naked come into a bit of money and completely lose themselves in it. It’s amazing! It’s one of the reasons why I belong to the school of thought that believes the humility of a poor man can never be trusted. Give a man wealth, fame and a bit of power, then you’ll see his true colours. 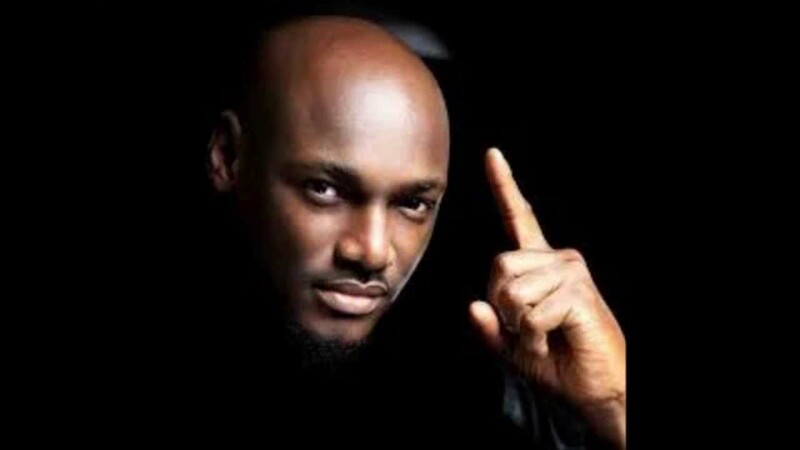 Unpretentious humility is the factor that sets Tuface apart from his peers. Apart from churning out good music over and over again, he is one person who has not allowed all the appurtenances of fame change him. In this part of the world, this is nothing short of a miracle. I have never met Mr Idibia one-on-one but I have followed his career closely, the highs and lows and even the controversies surrounding his personal life. Even though he is adored by many, he hasn’t escaped getting flak for some of the indiscretions in his personal life. But, not once have I heard or read of him lashing out at a fan out of anger. Not once have I heard any bad word being said about him by his colleagues in the industry. Not once has he conducted himself in an arrogant or rude manner in spite of criticisms that have come his way, which is far from what can be said about his ilk in the same industry. I have been fortunate to have good people who read my work and encourage me from to time on my writing journey. However, like every other person I have been criticized a couple of times too. Most times constructively and other times harshly. One time a lady who happened to be my senior in high school requested my friendship on Facebook. I accepted her friend request, only for her to literally type the word “Rubbish” in the comment section of the satirical piece I had just posted on my Facebook timeline. Now, I know that not everyone understands satire, so I quietly went to engage her inbox, explaining to her that the article was tongue-in-cheek even though there are plenty of truths in it. She responded that she understood but was still entitled to her opinion. Of course, she was! But I was surprised because this was someone who wasn’t just a random person I didn’t know at all. For one, she is definitely older and I would have expected more tact from her. Secondly, she was the one who requested to be my friend. Now, why would you ask to be my friend only to act so cold and critical towards me? Thirdly, she couldn’t articulate exactly what she didn’t like about the article and even left the chat abruptly while I was engaging her. I just didn’t get it. And so I deleted her, because I couldn’t wrap my head around what all the negativity was all about. But sometimes, I wonder if I should have left her as a friend so she could continue to see my exploits. That episode gave me an idea of what people like Tuface go through. Even in the times when he has been verbally attacked or accused of stealing songs by a former friend, he has always demonstrated class and admirable maturity in the way he has handled his business. Contrary to what many think, being civil or polite amidst plenty of criticism is easier said than done. Oftentimes we see celebrities (who forget that they became popular only because of the love people have shown for their work) treat this same people as though they were lesser mortals. Even among ordinary people who are not celebrities, there’s always a tendency to think too highly of oneself as soon as one’s profile begins to rise. It’s the curse of good fortune which very few people (like the Tuface’s of this world) have managed to escape. Just like Mr Idibia, I want to be one of the few to escape the curse if I ever become famous. It sure is priceless. Thanks for commenting. Nice article, Lolo, our celebrities are indeed behaving badly, I think it is just because of the excess money, they have and the fame in which they can’t handle. Most of them have never seen so much money in their lives, so when they have it, they feel so pompous. Most of them don’t have good upbringing, as for tuface, his humility is on another level, I respect him despite the many controversy surrounding him, he is indeed a legend. On the issue of your senior, I think she is intimidated by your talent, so many “bad belle” people around, they feel bad when another person is making it, please next time, tell her to go and hug the transformer. Lol, just kidding. Lol. Mayowa, you see, since I want to be like Tuface, I’ll try my best not to tell anyone to hug a transformer. Trust me, sometimes it’s not easy, but I’ll try. Thanks dear. Famous you are already babe, realise it already! Hehe! Nike, this has to be the joke of the week. Thanks though! This piece reminds me of your post on the ‘nouveau rich.’ Money rules the world. It changes our thinking in an instance and that’s why them Don Jazzy, Olamide, Wizkid are at loggerheads. Tuface is just phenomenal. He’s gone through the toughest challenges to still remain solid. He’s a favourite of the older people too. My mum still calls him ‘bobo mi’ because of his track ‘African Queen.’ His songs or personality won’t be like them Olu Maintain who shined for one season and are hardly heard of or reckoned with again. Tuface is evergreen. Safe to say, virtually every body loves Tuface. Meanwhile, you people should stop making me blush o! 🙂 Thanks for the vote of confidence. Thanks for the write up. I kinda relate with it and I know it takes a lot to be humble as much as it achieves so so much too. I want to say.. you will be famous and you will escape the curse..
Who are my to argue when my Pastor has declared something. 🙂 Amen and thank you sir. “The humility of a poor man can never be trusted. Give a man wealth, fame and a bit of power, then you’ll see his true colours”. Powerful quote. You don’t know a man’s ability to do anything until he does it! Humility is really a trait bestowed upon a man from God! So true. Genuine humility comes from a realisation that all our skills, talents and material acquisition have been given to us by a source. The all important God factor. Thanks Tolu. Once again you’ve done another brilliant write up,Tuface is a person to be emulated for his humility and as regards those little minds beefing you hmmmm,don’t ever give them the satisfaction of responding especially when you know that they’re talking for the sake of petty jealousy,Nigerian’s finest blogger you are and will remain!Up Lolo!! *Takes a bow*. Thanks bro. Nice write up. I knew Tuface from the days of Plantashun boiz, and he had his time as a young artist, but he grew in the ranks, and if he was proud and pompous, of course he won’t have made it this far. Humility pays, and it’s a prerequisite for promotion. welldone Lolade. Happy new year! Now I have a lot of catching up to do. I can see your blog is agog with several interesting articles. To the subject matter, simply put, I can’t but agree with you. My first personal experience with this Mr Idibia was in 2007 at the Abuja international airport. A little girl of about age 5 had picked him out from the passengers in the departure lounge. She broke free from her mum, screamed Tuface and ran to hug him. He scooped her up and called her my “African Queen”. I recall how freely he he mingled with the people around and had a chit-chat with the little girl’s mum. I recall him being in the company of Dare Art Alade. The rest is history. While I watched on from my seat that day, what struck me was this same humility… not just in his outward demeanor and actions but also in his dress sense! I could not spot the plenty huge “bling bling” characterized of his colleagues. Fast forward to December 2014 and he happened to be visiting Koga lounge in Oregun on a day a pal of mine was getting married. Not only that he performed beautiful songs for the couple without fore knowledge of the event, the show of humility was again spot on. Like you rightly pointed out, handling fame and money is not child’s play and many of our “celebs” and “non-celebs” have constantly failed in this regard. That was my simple summary of the show of immaturity at the last Headies awards. While this is not just not peculiar to artistes from this part of the world, it behoves on us all as individuals in our respective career/line of businesses to conduct ourselves in a civil manner at all times especially as our profile grows and the attendant rise in income/wealth happens. Well done Lolo. This is yet “another hit… back to back!”…LOL!!!! Hehe! Thanks Yomi. Good to read from you again. My great friend, Lolade. This is another great piece from you. Good job, keep it up.